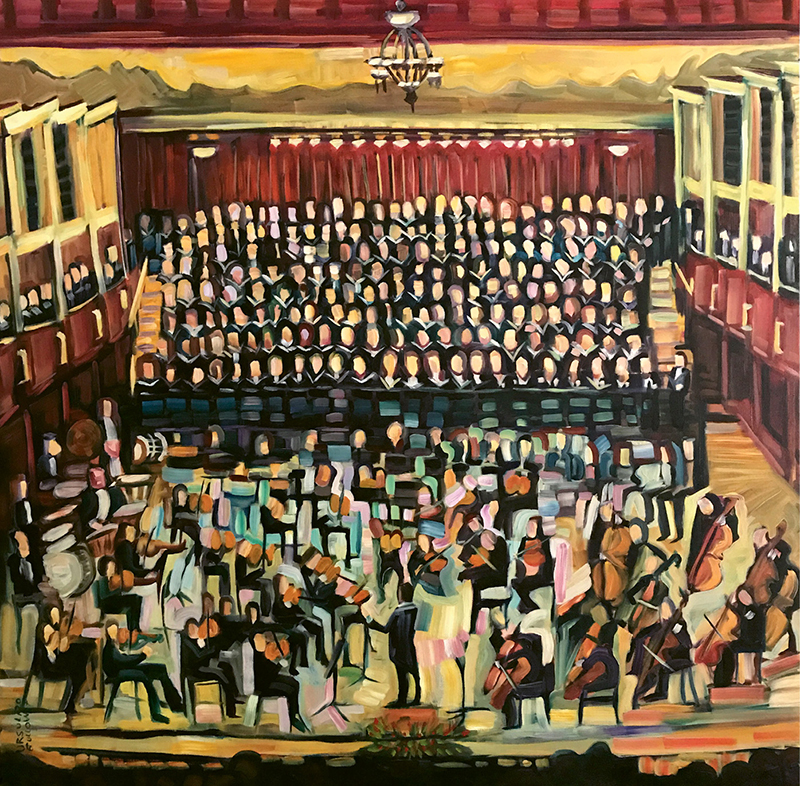 Symphony and Choir, oil on canvas, 36" x 36"
Ursula Gullow has a call-and-response relationship with paint. Her visual interest in crowds stems from her background in sociology and was additionally inspired by her participation in the 1999 World Trade Organization protests in Seattle. She takes particular interest in the social and political power of crowds as a singular entity, likening the movement of large groups to that of a singular amoeba. Her work examines the intersections of personal and public life, metaphorically serving as a representation of the ways in which personal space overlaps with public space. Gullow’s expressive strokes and thoughtful layering of paint evoke that of the old Impressionists who often inspire her work. As an artist of more than 15 years, Gullow also paints landscapes and self-portraits. Her paintings can be viewed at www.ursulagullow.com or at The Haen Gallery in Asheville.